De-Constructed Quilt Block Design for HUGE blocks. Shoemaker's Puzzle is a wonderful study in illusion as nothing but straight lines appear to be glorious curves. Totally pieced in the hoop and quilted in the Hoop and Joined in the Hoop. Shoemaker's Puzzle is a De-Constructed design and assembled in Columns for larger blocks and easy construction. The hoop size that you select will be the size of of one quarter of the block design. Machine instructions for 4, 5, 6 and 8 inch hoops with blocks that finish at 8, 10, 12 and 14 inches. 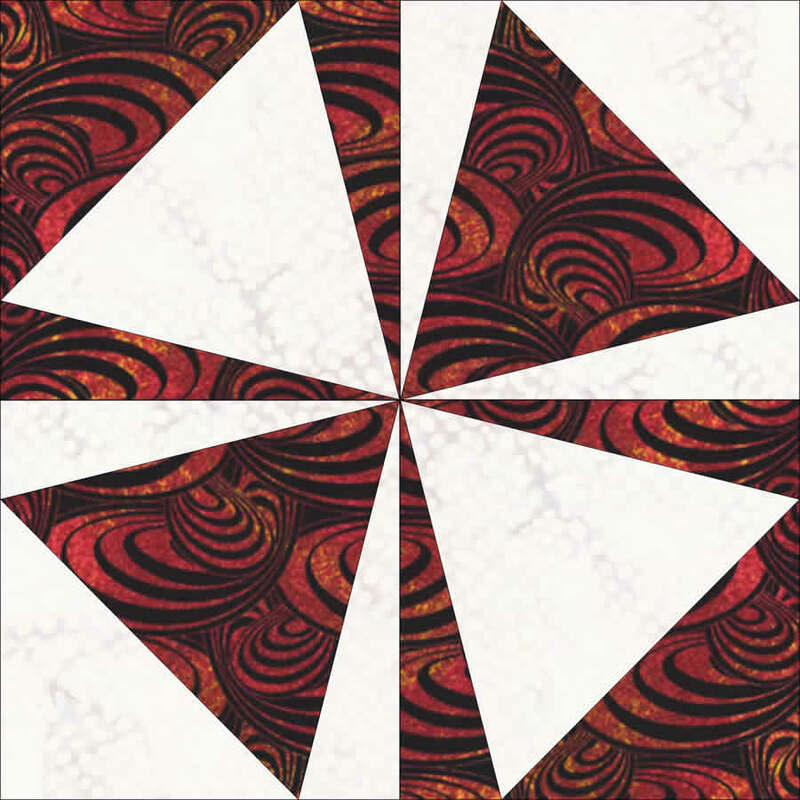 Interchangeable Quilt only designs for plain or unpieced 4, 5, 6, 7 and 8 inch blocks. Available for instant download for 4, 5, 6 and 8 inch hoops.